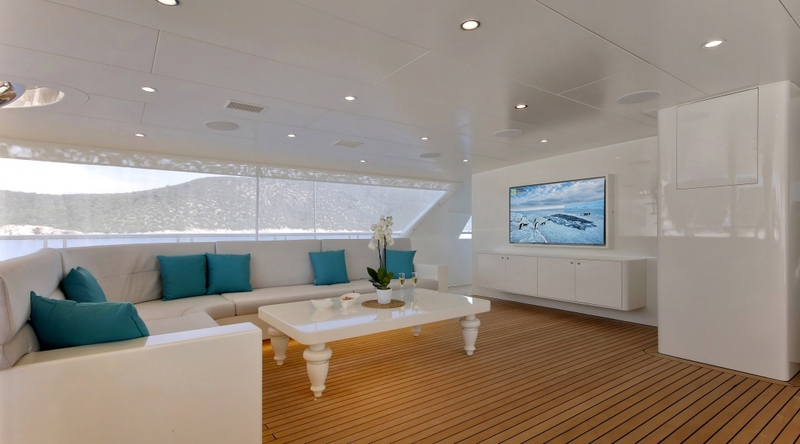 She affords accommodation up to twelve guests in six luxurious cabins. Two guest rooms have 2 separate beds, of which one is single bed (100 cm x 200 cm) and other is double bed (130cm x 200cm). 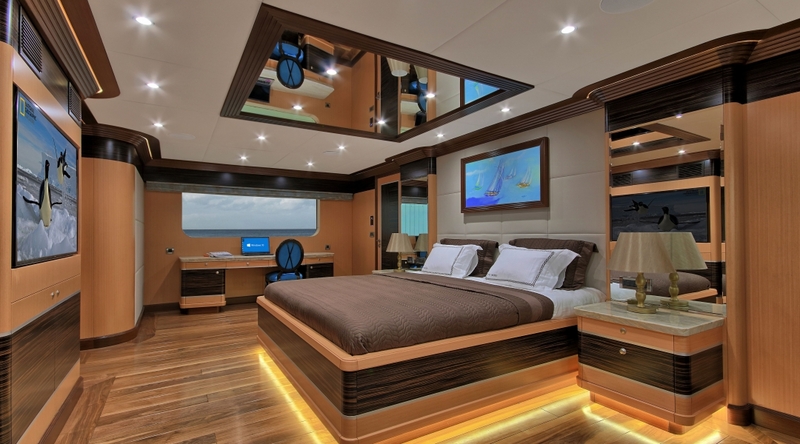 The cabins have automation and entertainment sys- tem, which allows to control air condition, curtains, lights, entertainment system (TV & Custom music system) and there is also minibar, work/make-up desk and sitting area in cabins. VAT and 30% APA are not included in the charter rate. 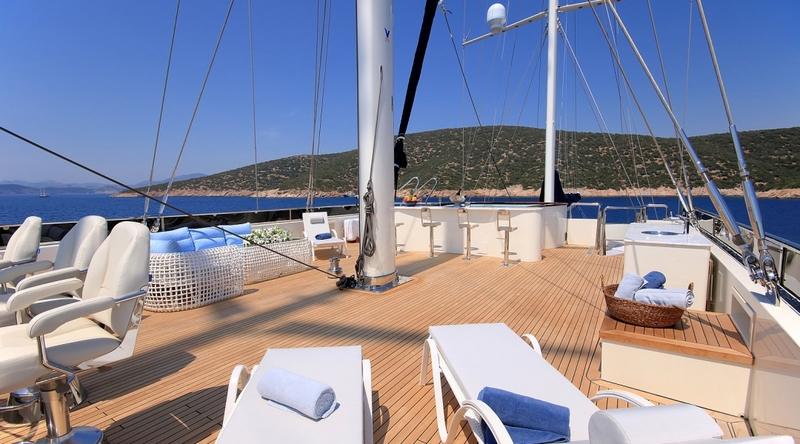 This 55 meter luxury sailing yacht MEIRA is an exceptional neo-classic design in which to cruise the world with remarkable space and wide selection of amenities. Meira has 3 masts and fully equipped in high class for sailing. She features a variety of amenities to ensure comfortable charter vocations and also carries an impressive collection of toys.